Influencer marketing has become a powerful business endeavor for most luxury and premium brands. With 79% of decision makers citing the identification of the right influencers as their greatest challenge, influencer data analysis has become more critical than ever (Source: Econsultancy). 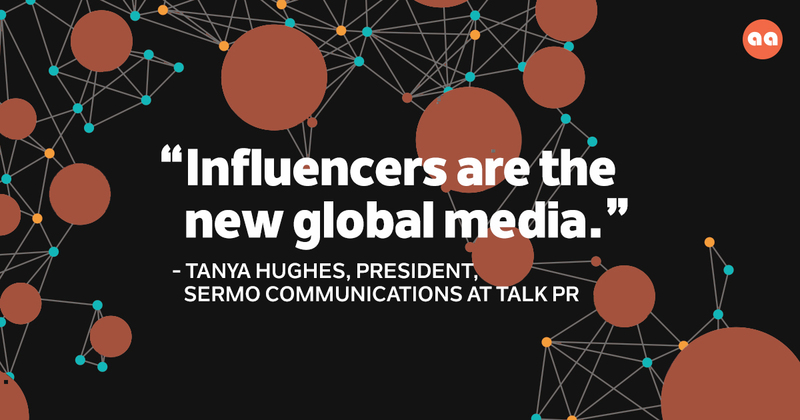 That’s why SERMO Communications, the leading global communications network specializing in fashion, retail, beauty, and lifestyle, created the SERMO Influencer Index for the third year in a row. Ranked using real-time data and personal knowledge of the influencers, the index highlights the top digital influencers specialising in luxury and lifestyle. These are the most important influencers for SERMO’s 18 agencies around the world. I had the opportunity to interview Tanya Hughes, President of SERMO Communications, and learn why the 2017 index is more robust this year than ever before. KC: What is your role? What is SERMO? And what services do you offer brands? TH: As President, SERMO Communications at Talk PR, I oversee global communication campaigns and reputation management programmes for our clients. Talk PR is a London-based lifestyle and luxury specialist PR agency. We are nearly 16 years old now, founded in 2001. One of our founding clients, Procter & Gamble (now Coty) always loved us because of our connections and creativity. But, about ten years ago, as we did more global strategy work for P&G and other global companies, it became clear that global brands needed global perspective and scale from their agencies. We knew we had to become part of a global network or create one ourselves. That’s how SERMO Communications was born. There are lots of ways to create a network, but in the end we decided to create an exclusive club. We found agencies around the world who were like-minded, owner operated, very hands on, but wanted to be local specialists with a strategic, global perspective. SERMO means “talk” in Latin, so SERMO Communications is a club of equal partners. We didn’t want to call it the Talk PR Network because we wanted a mutual international name. We started with 4 partners in 2009 and now have 17. SERMO’s network of highly connected global agencies specialise in retail, fashion, beauty, grooming, wellbeing, food, drink, travel, property and automotive. KC: Why release an annual Global Influencer Index? Why have that focus on influencers? TH: The first SERMO Influencer Index was done in 2015, on the back of our conference the previous year in India. With the rapidly changing media landscape, these bloggers have been around for years. But as you say in your own materials, the explosion of social media and Instagram, in particular, has really changed the game. It has suddenly brought these media influencers to the fore. As a network, we wanted to look at the similarities and differences from our different territories and what we could learn from each other. We just knew that we needed to have a global viewpoint to inform both our global and local work. That global viewpoint has become more important and the Blogger Index of 2015 was renamed the Digital Influencer Index in 2016 and has now become simply the Influencer Index, reflecting the growth of Influencer Marketing. We’ve also introduced a new, more data driven way of ranking the influencers. KC: This is the third year in a row for the SERMO Influencer Index. What separates the 2017 SERMO index from the rest? This year, however, we brought in Traackr as our data partner. You have saved us a lot of time and have made the ranking process more robust, clear, and data driven. These are real figures. 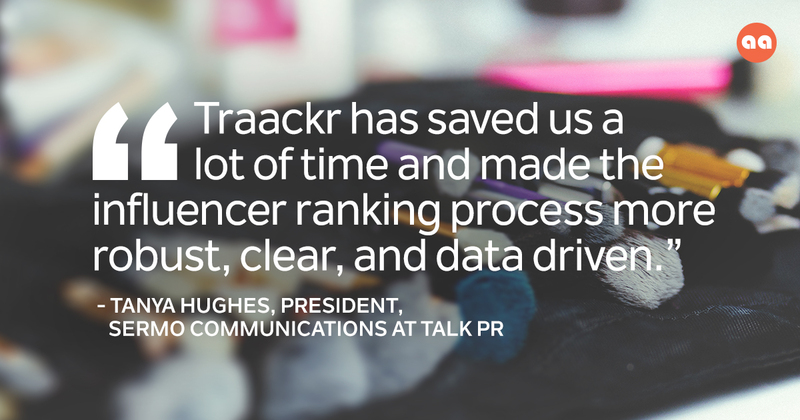 If we need to change anything, we just calibrate the data in Traackr and recalculate an influencer’s reach. Traackr has changed our lives. This year’s SERMO Influencer Index includes the beauty and grooming industry’s influencers (in addition to the luxury lifestyle industry). The beauty and grooming influencers have personified the personal connection with brands. They are incredibly good at engaging their audiences, really letting them inside. The most successful influencers are the most authentic ones. Their authenticity is the heart of the whole influencer landscape. Given that beauty influencers are dominating on social media and have led the way, we thought it was worth pulling out a separate Beauty and Grooming Index because it’s so important for many of our clients. KC: Did any of the findings in the SERMO index surprise you or inspire you to dig deeper into a specific topic? TH: In China there are these new influencers who are sort of the “anti glamour lifestyle”. They are called the “diaosi” or “normal” influencers who are absolutely, deliberately, not too gorgeous or super shiny and perfect. They are promoting the ordinary aspect of life. They are complaining about influencer endorsement and conspicuous consumption and they are really having an impact. They are sort of the anti-uber glamorous lifestyle and they are quite funny and witty. I love that take on life. They’ve now got massive followings. KC: How have you seen the influencer marketing landscape evolve over the last 3-5 years? TH: The big change is how clients are working with influencers. Influencer marketing used to be seen as an add on. It’s now become a main stay of any communications plan and that is a big change. That’s not to say that clients don’t want online or print coverage, because they do. This is part of the influence landscape. We have to keep defining what we mean by influence. In the context of this index we mean digital influence. But clearly there are many, many, many aspects of influence. What comes next is redefining the overall landscape. At the moment, I think things have swung right over to digital influencers, quite rightly because they are a huge force. Clients are still trying to get a handle on how to make sense of the data and how to justify the return on investment and link it back to business goals. Frankly, I still think there is a challenge on any marketing to link it back to business goals. Sometimes I walk past a Zara store and I see a top I like and I buy it. It’s still not an exact science, but the major trends focus on not only using influencers as a version of the media but making them fundamental to overall marketing plans. That is the really big change. KC: What is the one takeaway from the SERMO index that every agency leader needs to know? For the first time, I was surprised that an influencer that was #1 in The Netherlands was also #1 from our LA agency, this is an indication that … influencers are the new global media. None of the global media publishing houses have managed to act as truly global media. They still work in silos. Influencers are borderless if they want to be. We have many global clients (such as Pernod Ricard and Coty) who come to us for global strategies. We create a lot of overall communications strategies and approaches and create a lot of materials here. Because of that we quite often are tasked with getting global coverage. For a lot of global clients their holy grail is global media. Is the Financial Times global media? Kind of. We think that you connect the right influencers across the world through our network and effectively that is global media. That is the big take away for me this year. KC: Anything else you’d like to add? We’re very excited about Traackr. It will pay back and it really has already. 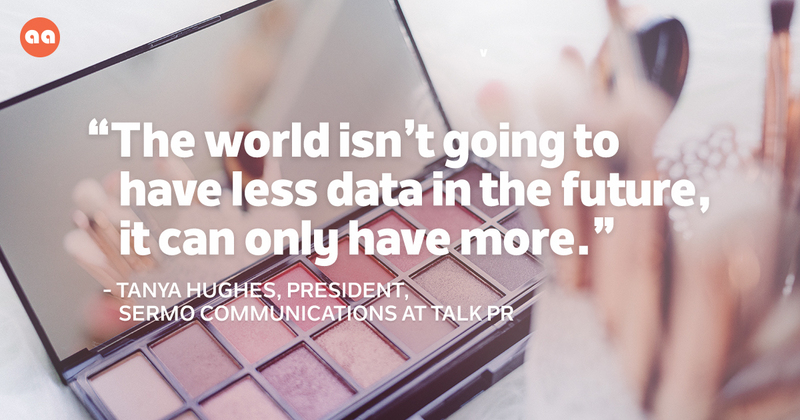 The world isn’t going to have less data in the future, it can only have more. Ultimately...even though most of what we do comes out of judgement...do you like them...is the style right...you still have to justify that with the data. We once had media packs with readership, but instead of 5 target media, you have now potentially thousands of target influencers. You can’t keep track of it unless you have clever technology to help you. 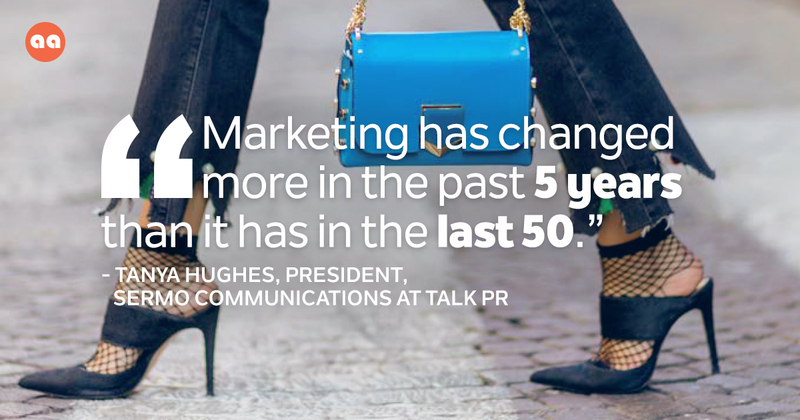 Marketing has changed more in the past 5 years than it has in the last 50. Without question, that’s true. Already we’ve gone from bloggers doing a few websites to this population that is continually evolving to a sea of influence around the world. It’s amazing.